The domestic assault charge hounding Houston Astros relief pitcher Roberto Osuna was dropped Tuesday in a Toronto courtroom. Osuna, who has maintained his innocence, agreed to a “peace bond” in order for the charge, filed May 8, to be dropped by the Ontario Court of Justice. In Canada, a peace bond is agreed upon by both the accused and by prosecutors. It’s not an admission of guilt by the defendant but rather an assurance of good behavior for one year, during which time Osuna, 23, will not contact his former girlfriend and mother of his child, who claimed last May that he assaulted her. She declined to appear in court to testify against Osuna. Prosecutors acknowledged they lacked a reasonable prospect of conviction for the charge, which in the United States would have been a misdemeanor. According to the Houston Chronicle, Osuna cannot be charged again on the allegations. For weeks, Osuna’s attorney, Domenic Basile, had been seeking a peace bond so the charge would be dropped. If that hadn’t happened, Basile said Osuna would have gone to trial to fight the charge while pleading not guilty. Neither he nor Osuna spoke to reporters upon leaving the courthouse Tuesday after a brief hearing. However, Osuna later released a statement saying he was “pleased and relieved” about the decision. “Now I can begin to put these allegations behind me and focus on baseball. 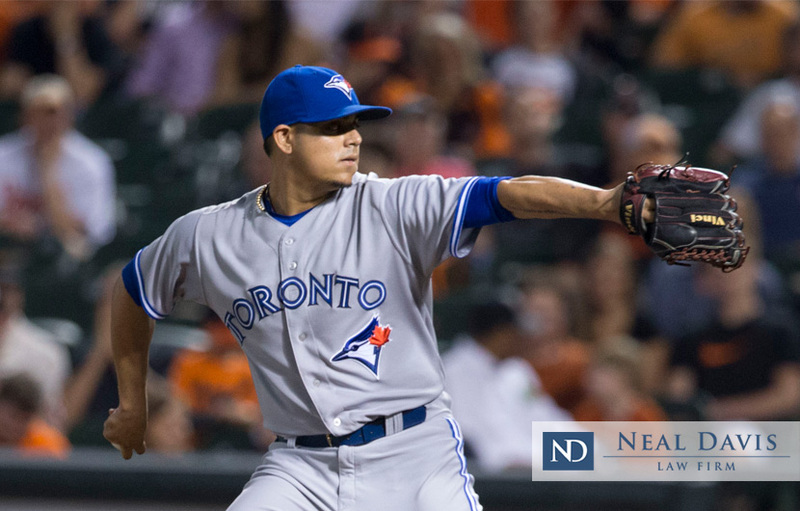 I want to thank my family, teammates and fans for believing in me,” Osuna said. Formerly an elite “closer” for the Toronto Blue Jays of Major League Baseball, Osuna was suspended without pay for 75 games by MLB immediately after his charge last May, but long before any formal hearing. Also, keep in mind that in Canada any evidence in such cases is kept sealed. Nonetheless, MLB handed out quick punishment for an unproven crime. On July 30, while he was still suspended, the Blue Jays traded Osuna to the Astros in exchange for pitcher Ken Giles and two prospects. According to ESPN, the suspension ended Aug. 5. Astros players, who at first were skeptical, have since rallied to Osuna’s side, saying he was a positive presence on the field and in the clubhouse. Meanwhile, social media spewed scores of condemnations against Osuna and the Astros, despite lack of resolution or clarity in the case. The Osuna case underscores today’s societal tendency to rush to judgment and condemn a man without due process. Thanks to well-meaning but one-sided movements such as #MeToo, the long-standing legal principle of innocent until proven guilty has been reversed in many people’s minds. Indeed, as the Osuna situation has shown, due process is under attack. The Neal Davis Law Firm understands that false claims of domestic assault can happen, and why they happen. But defendants against such false allegations have legal rights, too. Our law firm believes in due process. We believe everyone deserves their day in court. And we support the legal right of anyone to be considered innocent until or unless they are proven guilty. Contact us for a free consultation if you’ve been falsely accused.